Book your transfer easily using our online form. We are happy to transport you to your destination and back. Use this button to send us your request. Are you on a business trip and looking for a convenient airport shuttle service to your meeting? Our airport transfer offers you the opportunity to be brought to your destination directly from Munich Airport and back if necessary. You will reach your destination in time and without any detours. If you are planning your vacation in Munich or another destination in Bavaria, then our airport transfer offers a good alternative to public transport. You can easily get an airport taxi or in larger groups take the bus transfer, according to your needs. For winter sports enthusiasts, the ski transfer offers to take you to the nearby ski resorts. We also provide an exclusive limousine service. Enjoy a touch of luxury while our shuttle service takes you to an event or trip destination. With your inquiry you will receive accurate information and you can book immediately upon request. There are many interesting destinations that can be reached comfortably with our airport transfer in Munich and the surrounding area. See the suggestions on the page or enter your desired destination when booking your trip. 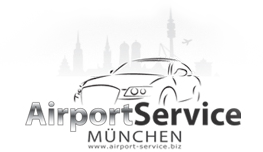 Our airport transfer will take you directly to your destination and back to Munich Airport. Business meetings or event rides are no problem for our airport transfer, because we take you on time to your appointments or events. Enter your wishes in the booking form and contact us with any questions, we are happy to help.